Internship is a way of talent recruitment that has become popular in nearly every country of the world. Previously confined to medical graduates, it overlaps various industries and professions today. Should you apply for an internship? I would say you should, always, but not necessarily with a goal of signing a full-time job contract with the company, once your internship with them ends. Take the opportunity simply as your first working experience, leaving all doors open. You will see what will happen once your contract with the company expires. And if you can (and find it viable), apply for the internship while still studying at the college. Once you graduate and earn your Masters degree, it will be nice to have something on your resume, and perhaps a strong recommendation for an employer, something you will benefit from in any other interview. Let’s have a look at the questions you will deal with in this interview. Why did you decide to study medicine (or other field)? What do you know about us, and why are you interested to do internship in our company? Can you please outline your career plan, what you like to do in five years, ten years, etc? Why do you think our company should offer an internship to you, and not to someone else? If we offer you a place, what value will you bring to our team? Do you think that you are ready to work in the company? Case study. Imagine you had to accomplish [certain task] in [certain time]. Tell us how you would proceed. What do you plan to do once your internship ends? Describe an ideal boss, and an ideal colleague. How will your best friend describe you? And what about your worst enemy? Your goal is to show the interviewers that you know why you are studying, that you have some plans for the future, and did not apply just becasue your parents wanted you to apply, or because you did not really know what you wanted to do in life. Your choice of study can resonate with your personal values, or with your career plan. You can also say that you simply enjoy doing what the medical practitioners (nurses, scientists, managers, marketers, etc) do in their jobs. One way or another, you should have some goal on your mind (a position you want to hold in five years time, a life you want to live, a value you want to bring to people you will work with, etc). Try to say something nice about them, praise them for something worthy of praise. Perhaps they are leading the pack on the local market? Do you like their products, do you use them? Have someone recommended you the company? Are they famous for a good working environment, or for their company culture? Do your homework. Research about their company. Find something worthy of praise–there always is something, we just have to open our eyes to see it. Leverage the power of Google and social media to find as much information about their company as possible. A tricky question for most University students, since most young people do not think much about the future (and it makes no difference whether we talk about their personal future, or the future of their community, the future of our planet). 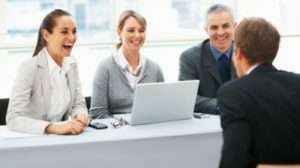 In this interview, however, you should try to convince them that you can imagine connecting your future with their company. Try to speak about jobs you can have with them, in one year, five years, ten years time. Check the company hierarchy, check the career path for entry level positions (many companies have these things outlined on their corporate website), and devise your career plan accordingly. Once you interview for an internship position, however, you should try to convince them that they can count with you in a long run. Say that you are the best student in the class, the most creative one, or someone it is fun to work with, or pleasure to talk to. Try to say something to stand out. Alternatively you can bet on humility, and showing a team-spirit, and positive outlook of life and other people. You can say to believe that all your classmates would deserve a chance to work for such a great company, and you have to leave the decision to choose the best person to the hiring committee. * May also interest you: Why should we hire you? A tough question, and a good answer depends on your skills, personal traits, and basically the value you can bring to their company. Try to think about the job description for a while, the principal duties. Then think about your personality, your strengths, things you are good at, things you enjoy doing. School is one thing, corporate environment another. Pressure, deadlines, conflicts with colleagues, expectations, successes and failures. Can you handle all of that? Try to convince the interviewers that your school experience (or part time job experience) has helped you to gain the basic working habits, and that you understand the challenges the job presents. The most important thing is to show us that you have confidence in your abilities, and are ready to face all aspects of a working life–both the positive and the negative. A simple question that tests your way of thinking, and methodology of work. You should try to outline the project milestones, and the steps you would take to accomplish each milestone. Show the interviewers that you can think and work independently, that they won’t have to hold your hand all time. Do not forget to ask for a pen and paper, and for a few minutes of time, so you can prepare your answer. Present it clearly and show them that you understand their business, at least to an extend to which a student can understand real business. A good answer depends on the time of your internship, as well as your goals. If you apply for a post-graduate internship, tell them that you will look for a job, and perhaps suggest one or two positions in their company. This question is another chance for you to show them that they can count with you in a long run. You can also say that you simply plan to continue your studies, try your best to improve on your strengths, and see what happens once you graduate from school. There are a few good approaches to this particular question. You can say that you do not have any expectations on your colleagues or bosses, and focus on things you can control. That means your performance in work, your attitude to the people you meet with in the workplace, your motivation in work. Most likely they won’t call your friends (and for sure they won’t call your enemies–if you have any enemies). Speak confidently about your strengths. Say good things about you. There is no reason to downplay your skills in an interview. The hiring managers may ask you to complete a personality test, and sometimes even an IQ test. This happens mostly when many people show interest in their internship program (which is the case with nearly all prestigious companies and big corporations). It doesn’t make sense to pay special attention to this part of the hiring process, however, since you can not prepare for the personality test in advance (nor you can prepare for the IQ test). 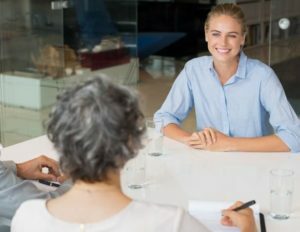 Behavioral interview questions – In a behavioral interview, the HR managers will ask you about various work-related situations, such as a situation when you experienced pressure in work, one when you had a conflict with one of your colleagues, a time when you achieved a goal, or actually failed to achieve one, etc. Learn how to address the most common behavioral questions. Body language in an interview – Scientists point out that the words we say count only for 15% of the message we send over. The rest–whooping 85%, is our body language, our nonverbal communication. Can you benefit from this fact in an interview? And can we control our body language? How to send the right signals to the interviewers? 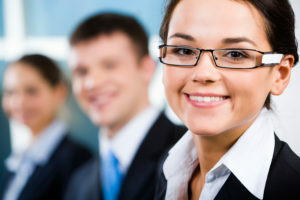 Interview attire special tips – Learn how to choose the right clothes for your job interview.